Thailand, Bangkok (BBN)-A senior US diplomat on Wednesday chastised Myanmar, also known as Burma, for its treatment of the Rohingya minority group. “The Rohingya need to be treated as citizens of Burma,” said Assistant Secretary of State Anne Sherman at a news conference in Bangkok, reports the Voice of America. Sherman spoke a day after touring refugee camps in Indonesia where hundreds of Rohingya and other migrants are being temporarily sheltered. Since last month, thousands of desperate migrants from Myanmar and neighboring Bangladesh have reached the shores of Southeast Asian countries. Thousands more are thought to be stranded in the Andaman Sea and the Bay of Bengal, where they are on rickety, overcrowded boats with dwindling supplies. On Monday, US President Barack Obama said part of the reason the Rohingya are fleeing is because they are being “discriminated against significantly” in Myanmar. Washington would like to see “all Burmese leaders” speak up on the Rohingya issue, including opposition leader Aung San Suu Kyi, according to Sherman. 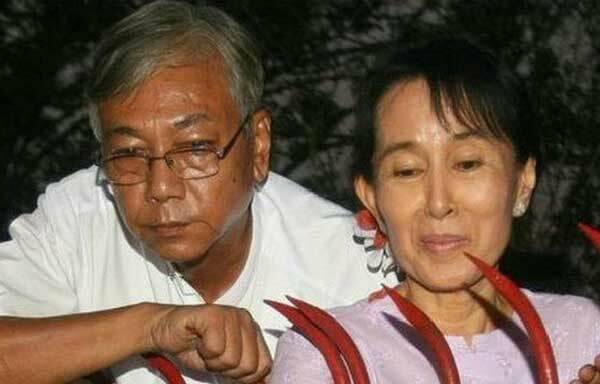 Aung San Suu Kyi has been silent over the plight of the mostly Muslim Rohingya, who are denied citizenship and other basic rights in predominantly Buddhist Myanmar. Myanmar leaders refuse to recognize the minority group. It instead considers them as illegal immigrants from Bangladesh, which also does not recognize the Rohingya as citizens. Sherman said no nation in the region should consider itself an “innocent bystander” in the migrant crisis. She also said there has been a “real shift” in the region from earlier last month, when Southeast Asian governments refused to allow migrant boats to land on their shores. Following weeks of international pressure, Indonesia and Malaysia agreed last week to shelter 7,000 of the migrants, provided they are resettled with the help of the international community within a year.